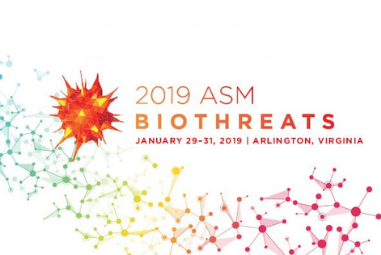 “What’s the first thing you think of when you hear Ebola?” asked speaker John Dye, PhD, of the U.S. Army Medical Research Institute of Infectious Diseases at the American Society for Microbiology’s (ASM) Biothreats conference, held during the last week of January in Arlington, Virginia. Ebola was one of the most talked about high-consequence pathogens at the event. However, the discussions were not somber but rather inspirational, focused on learning from past outbreaks in order to inform novel ways to approach detection and prevention of Ebola, as well as other pathogens and toxins.